Last week there was an article about Key Hole Gardening in the Dallas Morning News. Read it here. In my opinion it did not elaborate enough on our beautiful efforts to teach Dallas County citizens about this garden survival method. Annette teaching Keyhole Garden concepts. Our garden is located at 2311 Joe Field Road in Dallas, 75229. 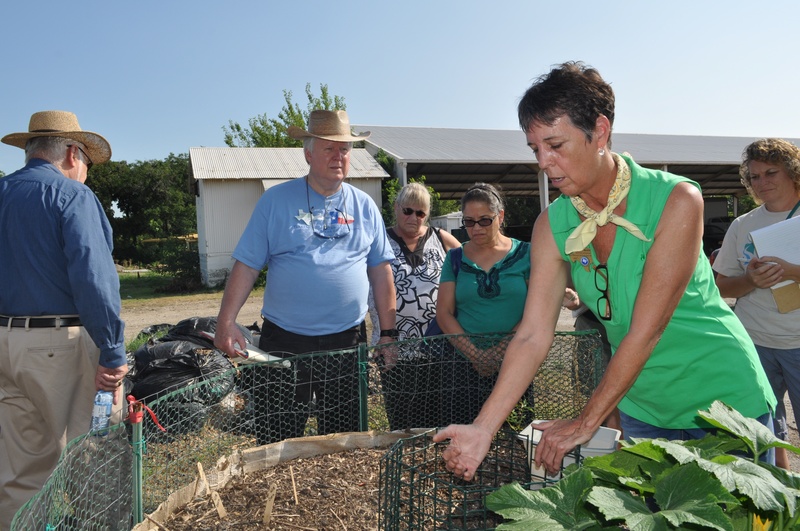 We share Dallas County property with the county’s Automovie Service Center and have been making gardens and teaching opportunities at this location since 2005. Our aim is to teach Dallas County residents sound horticultural practices combined with a heart for our natural resources. We harvest rainwater to water our gardens and use drip irrigation. Keyhole gardening uses less water and has naturally become a component of our education. For an extensive education about Keyhole gardening, please review Annette’s writing on the subject. As gardeners and stewards of our patch of dirt at 2311 Joe Field Road, we will always strive to present the less intrusive ways of gardening using the least amount of water and no pesticides. 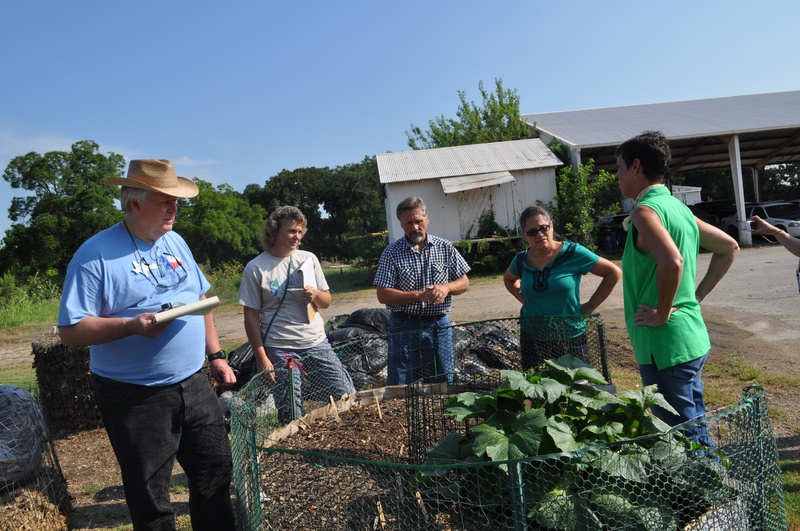 Our gardens and our hearts thrive with this approach and through this blog and our classes, field trips and harvest to table presentations, we want to share what we have learned with you. Thank goodness for the rain last week which filled out 2-2500 gallon rainwater harvesting tanks with water for our gardens! Posted in Compost and tagged Compost, Dallas Morning News, Keyhole Gardening, WaterWise gardening. Bookmark the permalink. Keyhole gardening is on my garden bucket list. It just makes good sense.